How would you move someone from despair to hope? At 64, Faith didn’t think it was possible to get a job at her age. It had been 16 years since Faith had worked full-time. Formerly a nurse, Faith held senior-level positions in insurance and banking until 2002 when her depression put her in an “invisible prison.” With her long-term disability support ending, Faith needed to re-enter the workforce. She had no clear plan about what positions to seek and no idea who to turn to for help. “For over a decade, I barely left the house,” Faith remembers. “Days on end would stretch out in front of me like a desert.” Faith thought this would never change. Uncertain that it was even possible to get a job at her age, Faith expressed her concerns to her hospital social worker who directed her to seek support from JVS Toronto’s downtown Employment Source centre. Faith had no idea that this referral would change her life completely. Faith worked with her JVS Toronto employment specialist to pursue positions in the insurance industry. But what Faith really wanted was to help others facing mental health illness. With encouragement from her employment specialist, Faith began volunteering using her lived experience to help others, and started accepting public speaking engagements about her personal journey. With her self-esteem revived, Faith realized that she was looking for a new direction. Using her growing public speaking experience, and her employment specialist’s expertise, Faith revised her resume and job search goal to target positions where she could provide peer-based support. Today, Faith is happily working as a peer support facilitator for an urban hospital helping individuals who are transitioning from homelessness, and continues to speak publicly about her experience. Released from her “invisible prison,” Faith is moving forward with a stronger belief in herself and in community organizations like JVS Toronto. Make a life-changing impact on people like Faith by supporting employment programs that help those with complex personal circumstances find work. Our services move people forward to workplace inclusion and self-sufficiency, breaking the cycle of isolation from our community. Help unemployed people move toward financial stability and reduce the impact of complex circumstances on employment. Offer specialized employment programs for individuals with disabilities at no cost. Link at-risk youth to education, life skills development, and on-the-job training. Connect new immigrants to professional mentors, workplace language training, and online service delivery. Subsidize low-income families for assessments that identify learning challenges and improve school performance. If you have any questions or comments about donating, please call 416-649-1666 or email donations@jvstoronto.org. JVS Toronto is a registered Canadian charity. Our Charitable Tax Number is 10753 5015 RR0001. This policy is intended to ensure that JVS Toronto’s fundraising activities are ethical and meet best practice fundraising standards for the charitable sector in order to instill and maintain public and donor trust. JVS Toronto is guided by the Donor Bill of Rights developed by the Association of Fundraising Professionals and has incorporated these rights into this policy. 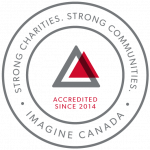 JVS Toronto received accreditation in 2014 through Imagine Canada’s Standards Program. The Standards Program is a Canada-wide set of shared standards for charities and non-profits designed to strengthen practices in five fundamental areas: board governance; financial accountability and transparency; fundraising; staff management; and volunteer involvement. Trust is at the foundation of what matters to us, those who support us and our stakeholders. This designation enables us to demonstrate our commitment to excellence to earn that trust. 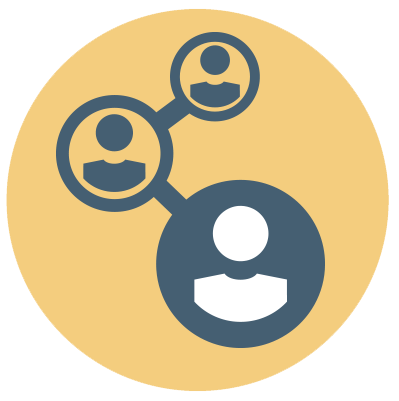 The goals of Imagine Canada’s Standards Program are to increase the transparency of charities and non-profits, and to strengthen public confidence in individual organizations and the sector as a whole. Our policies and procedures in the five areas of compliance were evaluated by a group of volunteers from the sector, and were found to be compliant with the Standards Program. Each year we submit a compliance report to ensure our practices remain aligned with the Standards Program. This policy applies to all JVS Toronto employees, volunteers, members of the Board of Directors, members of Board committees and advisory groups, students, contractors or consultants who are working at JVS Toronto or acting on behalf of JVS Toronto. The practice of giving money and time to help make life better for other people. An individual or group that gives something such as money, goods, or services to a person or an organization. Following accepted rules of behaviour. Conflicts of interest include situations where a JVS Toronto employee has an undisclosed interest in the activities of, or an undisclosed commercial relationship with, JVS Toronto stakeholders; or is engaged, in whole or in part, in undisclosed activities that are in competition with those of JVS Toronto. This includes situations where there may be a perceived conflict of interest. The way that a person behaves in a particular place or situation. A gift is a voluntary transfer of cash or in-kind items to JVS Toronto from individuals, corporations, associations, foundations or other sources for use in the mission and priorities of the agency. Gifts are made without expectation of return or benefit of any kind to the donor or to anyone designated by the donor except where the benefit is of nominal value. A bequest is a gift made through a will. Bequests may be stated in several ways, including as a percentage of an estate, as the residue of the estate or as a specific dollar amount. Bequests can include money, investments, property, real estate or other parts of an estate. Private property that is moveable. An estimate of the market value of a property in an open and unrestricted market, and between a willing buyer and a willing seller who are knowledgeable, informed, and acting independently of each other. A donation of cash or cash equivalent. A donation in the amount of $10,000 and over, and is deemed to mean either a significant part of the cost of, or a contribution to a program or activity, and represents a substantial part of its value. Not easily converted into cash. JVS Toronto solicits and accepts donations to further its mission and the priorities of the agency. NOTE: The following section “RESPONSIBILITY & PROCEDURE” represents best practices as determined by JVS Toronto, and is largely designed to provide guidance to designated JVS Toronto representatives. However, it is understood that, where appropriate, these representatives may adopt modified procedures in response to any given circumstance. Procedural Guidelines continue on this and the following page(s). JVS Toronto manages its fundraising activities and donations through its policies and ensures anyone acting on its behalf follows established practices outlined in such policies. All fundraising activities conducted by JVS Toronto, or those acting on its behalf, will follow the practices outlined below. Inform donors of its mission and related activities will provide printed and electronic material to support this and will use donations effectively to further its mission. Ensure there is no exploitation of those who benefit from the contributions made by donors and will be sensitive in describing such beneficiaries to donors by fairly representing their needs and how those needs will be addressed. Represent itself to donors in a truthful and accurate manner and will not make claims that cannot be upheld or are misleading; nor accept donations for purposes that are inconsistent with its mission. Disclose to donors the organization’s name, the purpose in which funds are being requested, and disclose, upon request, if the individual representing the organization is a volunteer, employee or contracted third-party. Ensure that all individuals acting on its behalf act professionally within its Code of Conduct Policy. Disclose to the public a list of its Board of Directors on its website. Disclose to the public its financial statements on its website. Ensure that donations, gifts and services are used for the purposes in which they were intended. Provide donors with appropriate acknowledgement and recognition in accordance with Section 5, Donor Recognition and Naming of this policy. Manage donor information with respect and confidentiality in accordance with its own privacy policies and applicable laws. Ensure that there is no selling of its donor lists and will, upon request, manage mailing, telephone and electronic lists appropriately by removing donor names. JVS Toronto will, in addition, limit the frequency of contact with donors, as appropriate. 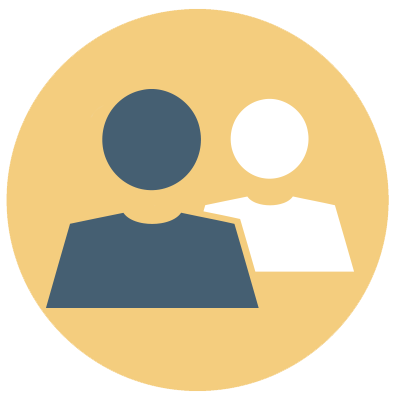 Openly receive donor feedback and answer their questions promptly, truthfully and accurately. JVS Toronto employees, consultants and volunteers conducting fundraising activities are monitored for adherence to its fundraising practices and Code of Conduct Policy. In all matters involving the donor, their interest and well-being are a priority. In cases of potential conflict of interest, those acting on behalf of JVS Toronto must disclose the conflict and allow an impartial individual to act on its behalf as outlined in the JVS Toronto Conflict of Interest Policy. All donor solicitors will act with fairness, integrity and in accordance with all applicable laws. Solicitors will cease engagement of a prospective donor who states that he/she does not wish to be solicited. JVS Toronto does not hire commission-based fundraisers and does not conduct door-to-door or street-side fundraising. 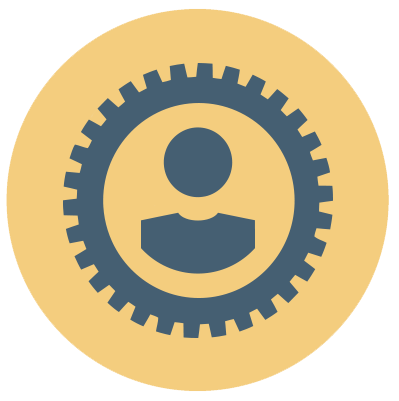 JVS employees are compensated by a salary or hourly wage and customary employee benefits. JVS Toronto does not pay finders’ fees, commissions or other payments based on philanthropic contributions received or funds raised. JVS Toronto will respond promptly to a complaint made by a donor or prospective donor in accordance with the policies and procedures outlined in the JVS Toronto Customer Complaint Policy. JVS Toronto will follow all Canadian Revenue Agency (CRA) guidelines when reporting on fundraising activities, their costs and income received. Gifts which further the mission and priorities of the agency will be accepted. JVS Toronto reserves the right to decline gifts which place significant restrictions on the agency, contravene applicable laws or require expenditures beyond the agency’s resources, or for such other reasons as determined by the President & CEO. Where the donation is cash, or a cash equivalent, the person or organization, whose name appears on the face of a cheque, or credit card, will be considered the legal donor of a gift. For gifts of securities and real property, the person or organization in whose name that property is registered will be considered the legal donor. For cheques drawn on joint chequing accounts and for securities and real property owned jointly, either or both of the owners may be considered the legal donor(s). Gifts to JVS Toronto can take many forms, such as an outright gift from a living donor or a bequest from a living donor that takes effect upon the donor’s death. Non Cash gifts such as stocks and bonds, tangible personal property, in-kind donations, services and real estate. Gifts with no stipulation by the donor as to their purpose or use are considered undesignated or unrestricted. Gifts given for a specific purpose designated by the donor will be restricted, and may be used only for the designated purpose. Acceptance of a designated gift imposes a legal obligation to comply with the terms established by the donor. Therefore, the nature and extent of this obligation must be clearly understood. For this reason, the terms of each major gift of 10,000 and over, restricted gift will be reviewed by the Development Department, Finance Department and President & CEO to ensure that the terms do not hamper the usefulness and desirability of the gift. If a gift is deemed unacceptable, the donor will be counselled to remove or modify the restrictions. Such restrictions must be agreed upon prior to JVS accepting the gift and issuing a charitable receipt if applicable. A tribute gift is when a donor makes a gift of $18 or more in tribute, honour or memory of a person or event. A JVS Toronto tribute card will be sent on behalf of the donor to the individual or family to whom tribute is being paid. Tribute gifts can be either designated or undesignated as specified by the donor. Tribute gifts are eligible for a charitable tax receipt. From time to time, recognition cards will be sent on behalf of the agency, with no charitable donation attached, to pay tribute, honour or memorialize donors or friends of JVS Toronto. These recognition cards will only be sent at the discretion of, or with approval from the President & CEO or Director, Development. An endowment can be restricted or unrestricted. Gifts of endowment will be accepted at a minimum level of $50,000 in unrestricted funds and $100,000 in restricted funds, when deemed appropriate by JVS Toronto’s Executive Management in consultation with the Director, Development. Only the interest from the fund can be spent, not the capital or principle that anchors the endowment. Usually, only a portion of the interest or earnings from the endowment are paid out on an annual basis in order to assure that the original funds will grow over time. The purpose of an endowment must be documented in an endowment agreement. The agreement will outline the degree and type of input the donor may have subsequent to the donation setting up the endowment. JVS Toronto is open to donors having an advisory role in decisions concerning the use of endowment funds. Donors will be informed that the funds have passed irrevocably to JVS Toronto and that JVS Toronto will make all decisions regarding those funds subsequent to the donation. These terms will be reflected in the endowment agreement. Define preferences as to how the endowment funds should be dispersed on the dissolution of JVS Toronto. The endowment will be invested by the agency’s management as seems most appropriate to Finance and Administration Committee of JVS Toronto. Management will identify and allocate available earnings from the endowment to the appropriate programs or activities of JVS Toronto, within the constraints of the agreement. JVS Toronto will take the input of the donor(s), or their delegates, into account in the manner prescribed in the agreement. If the available amount is under-used in a given year, that amount may be carried forward and made available for use in a subsequent year. Unless otherwise provided, the original endowment agreement will apply to any subsequent donations to the endowment. Gifts of real estate will be accepted by the Board of Directors after consultation with the agency’s legal counsel. The property’s condition, marketability, carrying costs, pending sale and other relevant considerations will be evaluated. This also will be applicable to gifts of a personal residence from a donor’s life estate. In all gifts of real estate, an inspection will be required to identify any potential environmental problems such as asbestos, radon or other contaminants or hazards associated with the property. Gifts of securities will be sold as soon as practicable after receipt, taking market conditions into account and, if appropriate, after consultation with the Finance and Administration Committee. The value of the gift is the market value on the date the donor relinquishes control of the asset to JVS Toronto. Gifts of illiquid securities will not be accepted. Gifts of tangible personal property will be accepted by JVS Toronto, either for use when appropriate, or for sale when not appropriate for use in the operation of the agency. If the value of the property is greater than $10,000, Board of Directors approval is required before such property is sold. If the value of the property is less than $10,000, JVS Toronto’s Executive Management in consultation with the Development team, has the discretion to determine the appropriate course of action. In-kind gifts over $1,000, such as real estate, artwork or jewelry, must be appraised by an independent outside appraiser who is not related to the donor, before a tax receipt or business receipt will be issued. JVS Toronto will refrain from giving any donor an appraisal of any donated property. In-kind gifts less than $1,000 in value will be accepted, if appropriate, and will be used at special events, auctions, or in programs. A determination will be made by JVS Toronto as to the fair market value. JVS Toronto will accept from individual donating the item a receipt for the original purchase of the item to identify the value of the in-kind donation. If such a receipt is not available, JVS Toronto will determine the fair market value by reference to catalogues or store prices. If the fair market value of an item cannot be determined, JVS Toronto cannot issue a charitable income tax receipt. In-Kind gifts less than three years old) will be receipted at the lesser of cost or fair market value. In-Kind gifts more than three years old will be receipted at their fair market value. A gift of services is defined as a non-monetary, non-material donation. It can be, but is not limited to, labour costs and/or cost reduction for necessary services. Gifts of service are not eligible for a charitable receipt. A brief description of some examples of planned gift options is set out below. The list is not intended to be all-inclusive. These are intended as guidelines, and exceptions may be made in specific situations with the approval of the Board of Directors. A bequest is a gift made through a will. Bequests can be stated in several ways, including as a percentage of an estate, as the residue of the estate, or as a specific dollar amount. Bequests can include money, investments, property, real estate or other parts of an estate. Gifts of life insurance can be in the form of a new or an existing policy. A donor can retain the ownership of a life insurance policy and designate JVS Toronto as the beneficiary. Alternatively a donor can assign the ownership of the policy to JVS Toronto, while continuing to be responsible for premium payments, unless the policy is fully paid. Premium payments can be made directly by the donor, or the donor can give cash payments to JVS Toronto and allow the agency to pay the premiums. Upon the death of the insured individual(s), the life insurance proceeds are paid to JVS Toronto. JVS Toronto will accept gifts of life insurance policies, but ordinarily will not make payments for premiums on such policies unless the donor agrees to make a separate gift to cover the premium cost. If JVS Toronto is both beneficiary and owner of a life insurance policy, the value of the gift is the fair market value of the policy at the time it was donated to JVS Toronto (and not the policy’s face value) and the donor will be receipted for any future premium payments. If JVS Toronto is the beneficiary, but not the owner of an insurance policy, the full amount received upon the death of the donor is the value of the gift and the estate will receive a receipt therefor. JVS Toronto accepts anonymous gifts. The donor must disclose their name to JVS Toronto’s Development and Finance Departments when a charitable receipt is requested, to ensure the gift meets this policy, and to maintain a gift record as required by the CRA. Donor information is considered private and confidential. JVS Toronto will not accept gifts from individuals, corporations/industries and their respective foundations or other donors whose activities may be in direct conflict with its mission or which, in any way, limits its ability to provide services. JVS Toronto recommends all donors consider seeking legal or tax counsel when considering a donation to JVS Toronto. The donor is responsible for any costs incurred when seeking professional guidance. Transaction for which JVS Toronto believes that the use of counsel is appropriate. Tax receipts are issued to individuals and businesses for voluntary gifts of cash based on the amount received minus any benefit derived by the donor in accordance with CRA guidelines. Year-end gifts will qualify for current tax year receipts if they are post-marked in the current calendar year or officially received within the current calendar year. Tax receipts will be issued automatically for a minimum donation of $18. Donors making donations below this amount may request a tax receipt. Charities and foundations are not entitled to receive a charitable tax receipt for their donations, whether the donation is in cash or in kind. An acknowledgement and thank-you will be issued which details the amount and purpose of the donation. An integral part of the efforts of the Development Department is to acknowledge the contribution of donors in an appropriate and consistent manner. By doing so, JVS Toronto lays the groundwork for their future support and also stimulates interest among potential donors. While JVS Toronto adheres to consistent recognition of donors, the program will be flexible enough to assist in recognizing donors in the most meaningful manner. Every donation will be appropriately recognized in a timely fashion. The extent of recognition afforded donors will be commensurate with their level of commitment to the work of the agency. JVS Toronto will endeavour to abide by the donors’ wishes for recognition, where appropriate, and will respect anonymity, if requested. When a donation meets the appropriate criteria, a charitable receipt will be sent to the donor in a timely fashion. 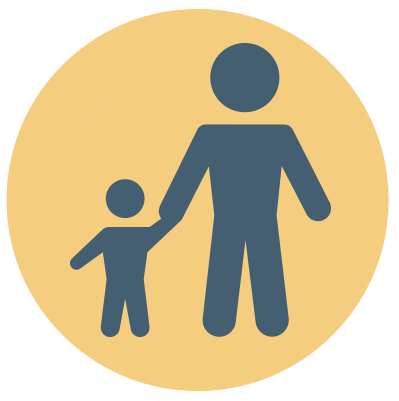 Receive stewardship reports outlining the impact of their donation annually for the duration of their gift term. Be invited in for personalized tours and in-person updates when possible. Receive recognition at the appropriate level in our annual report and on our website. Be invited to attend the Annual General Meeting and other agency-wide events. Major donors may be eligible for program or location naming opportunities when available. JVS Toronto does not offer naming rights in perpetuity. Duration of naming rights will generally be 10 years as per common industry practice. In some cases these terms may be negotiated when deemed appropriate. Terms and conditions around contribution levels, payment schedules and the duration of naming rights will be outlined in donor agreements. JVS Toronto retains all rights to named programs and locations. 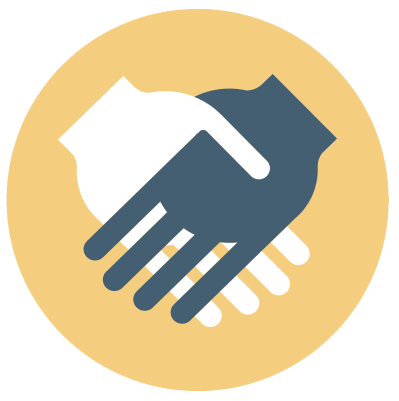 Donors gain no rights other than the rights set forth in the donor agreements. All fundraising special events must be approved by the President & CEO. The Development Department must be notified and involved in any planning of special events. Ideas for special events should be brought forward to the Director, Development or the President & CEO. Amendment: The policy was updated on November 15, 2017 in the Purpose section to include information about JVS Toronto’s accreditation in Imagine Canada’s Standards Program. Amendment: All previous fundraising policies were reviewed and contents edited and placed in one policy called the Fundraising Policy. The Fundraising Committee was involved in this process. The Board of Directors reviewed the final policy on August 23, 2017 with the Executive Management Team in attendance. The approved Fundraising Policy now replaces any and all previous fundraising policies. Amendment: This policy was edited for clarity in Section 4.1 on August 11, 2014. Amendment: This policy was reviewed by the Board of Directors at their meeting on March 18, 2014. Amendment: This policy was edited on May 27, 2014 to clarify and add statements in the Ethical Practices section.